Adamle, K. N., Riley, T. A., & Carlson, T. (2009). Evaluating college student interest in pet therapy. Journal of American College Health, 57(5), 545-548. Bell, A. (2013). Paws for a study break: Running an animal assisted therapy program at the Gerstein Science Centre. Partnership: The Canadian Journal of Library and Information Practice and Research, 8 (1), 1-10. Biden, A. (2004) “Who is the four–legged librarian?”: Upland Public Library trains a guide dog. Children & Libraries 2 (2): 44-7. Bueche, S. (2003) Going to the dogs. Reading Today (Feb/Mar). 20 (4): 46. Francis, A. (2009) The benefits of a therapy dog. Children & Libraries, 7 (2), 50-52. Hughes, K. See Spot read. (2002) Public Libraries. 41 (6): 328-30. Reynolds, J.A. and Rabschutz, L. (2011). 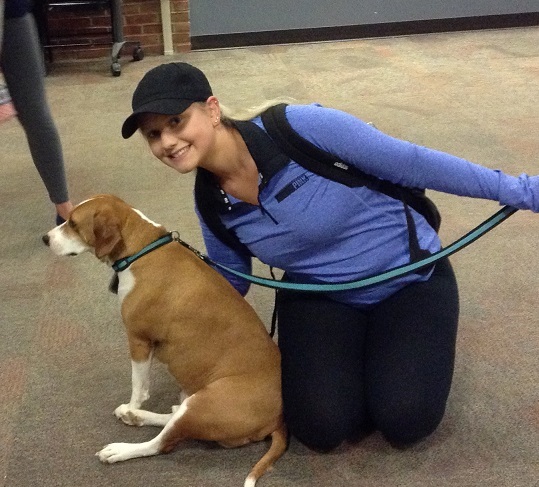 Studying for exams just got more relaxing- animal assisted activities at the University of Connecticut Library. College and University Libraries 359-367. Therapets aid stressed students. (2013). Therapy Today, 24(4), 5. Kim, O., Hong, S., Lee, H. A., Chung, Y. H., & Lee, S. J. (2015). Animal Assisted Intervention for Rehabilitation Therapy and Psychotherapy. In Complementary Therapies for the Body, Mind and Soul. InTech. provides a good introduction to the history and use of animal assisted intervention. Hines, L. M. (2003). Historical perspectives on the human-animal bond. American Behavioral Scientist, 47(1), 7-15 notes curing powers of ancient Egyptian temple dogs. Crossman, M. K. (2017). Effects of interactions with animals on human psychological distress. Journal of Clinical Psychology, 73(7), 761-784, provides summary of the use of human animal-assisted in modern clinical practice.